Older homes often need new gutters. There are different types and many are not too good. This Checklist helps you get the right ones. 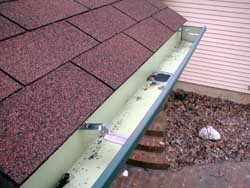 My Gutter & Downspout Installation / Repair Checklist costs just $7.00. My Gutter & Downspout Installation / Repair Contractor Hiring Guide & Checklist costs just $7.00. Does this include installing downspouts attached to vinyl siding so no leaks?